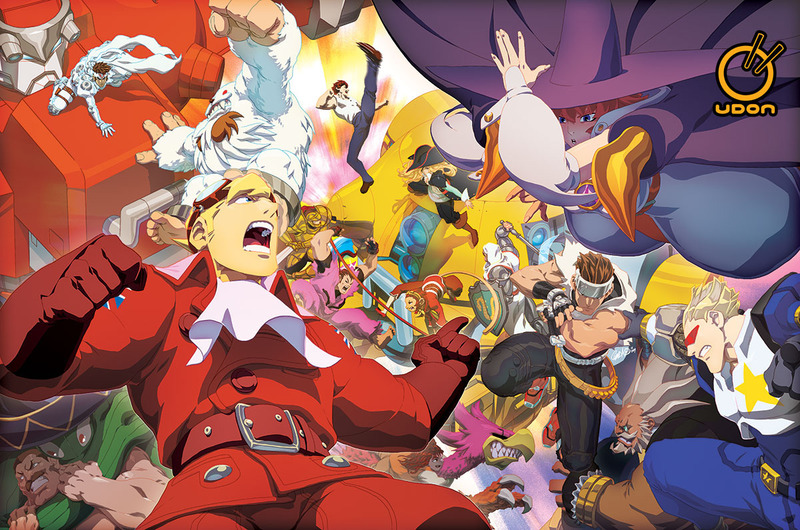 The Capcom Fighting Tribute by UDON and Jeffrey ‘CHAMBA’ Cruz! The Capcom Fighting Game Tribute by UDON and Jeffrey Cruz, also known as The CHAMBA! You might heard about Haggar from Final Fight and maybe even Captain Commando..but can you name all characters in this Tribute to the many Fighting Games of Capcom? Some of the characters there like Tessa are from Warzard / Red Earth, the only CPSIII fighting game which was sadly never ported to a home console yet, others are from Marvel vs. Capcom 2 like the super weird Amingo and the badass Ruby Heart. They are all from very different fighting games but with a few exceptions they did not appear in any video games since years..in some cases like over a decade. UDON Entertainment is creating a 300 pages big Art Tribute for almost all the Capcom fighting games including Darkstalkers, Rival Schools and even the almost forgotten Star Gladiators and Battle Circuit and will release this art book during the San Diego Comic-Con 2015! The artwork above by Jeffrey Cruz who is one of UDON’S artists is one of the first finished works for this book, if you are on a similar level of experience and you can create a great tribute till January 31 ..head to Udon presents: Capcom Fighting Tribute and check the details!